Around April: Cherry blossoms in full bloom. 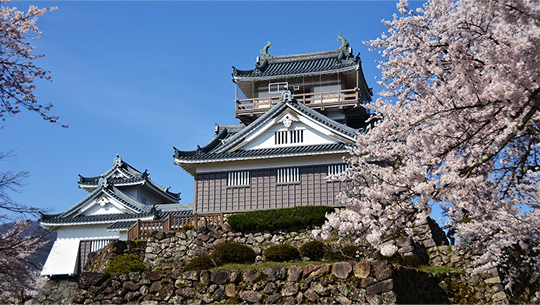 You will find a vast array of cherry blossoms in full bloom at Kameyama where the castle stands as well as surrounding the areas. 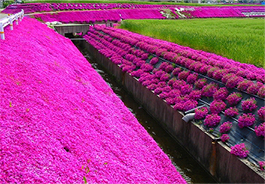 Rice fields of about 20 hectares are covered by shibazakura [phlox subulata, a bright magenta flowering moss]. 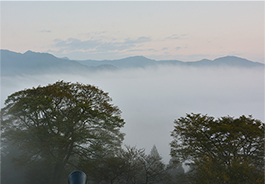 The “shibazakura festival” is held around this time. 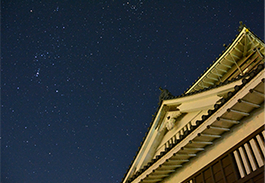 “Ono Castle festival,” is a major event held in summer during the Obon period in August, around the city, where you can enjoy dancing and various events. Ono City’s morning market has 400 years of history and tradition. 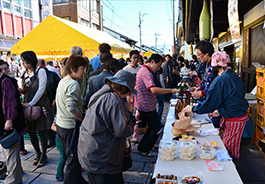 The market(Asaichi) is held on Shichiken Street in the castle town every morning (except for winter). 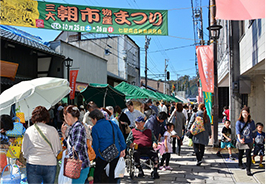 At this festival, you will find exhibitions and sales of specialties from “Echizen Ono,” which is primarily farm produce. 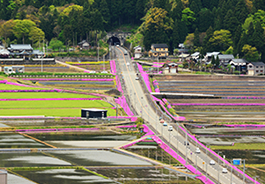 In addition, delicious foods from various regions including Ono City’s friendship cities, related and neighboring towns all come to this festival. A real culinary delight for all to enjoy. 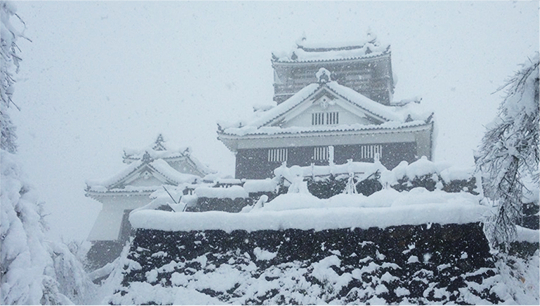 1 December – 31 March: Ono Castle is closed. 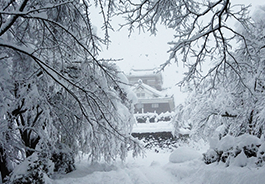 This is a major event in winter in Echizen Ono. The streets will have a wondrous atmosphere due to the illumination of the snow hanging lanterns. 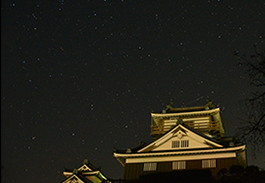 Winter fireworks in the night sky against a backdrop of Echizen Ono Castle have become a well-known event in winter.